Get ready for some great food for a great cause! 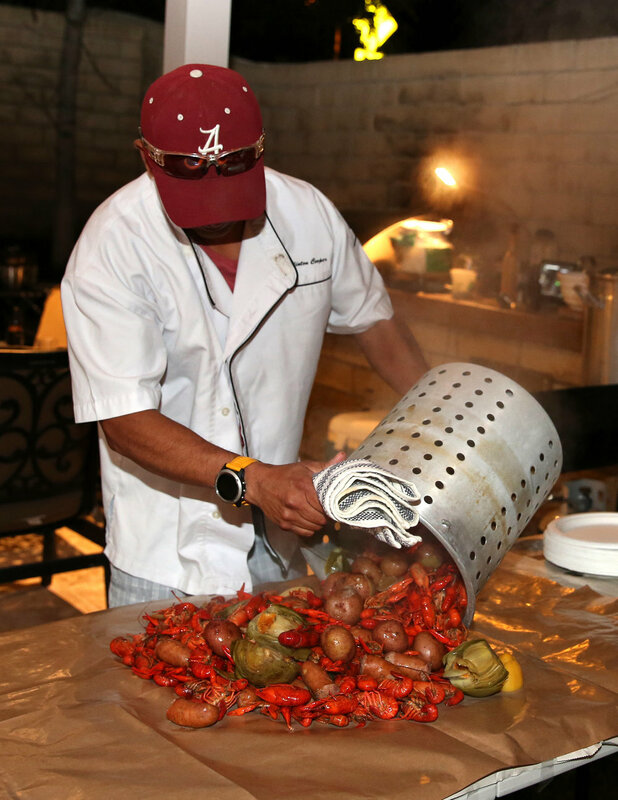 Please join us for an authentic New Orleans Crawfish Boil. Our menu will include Chicken and Sausage Gumbo, Crawfish Boil, Cold Beers and Margaritas. All proceeds will benefit The Barr and Hannan Family. Susan Barr, beloved wife and mother recently passed way from Stomach Cancer. Susan was 53 and this illness was an extreme financial hardship on the family. All money raised will be used to help pay for medical and living expenses for the Barr Family. Our long time friend Bill Hannan has been battling brain cancer since 2007. He has endured numerous surgeries and exhausting rounds of chemotherapy. Because of his amazing personality and positive attitude, most people never even knew he was fighting cancer. Over the last several months Bill’s cancer has aggressively returned and he has been dealing with serious setbacks. Bill is married with 2 young daughters and they really our support. Buy your tickets today! CLICK ON THE IMAGE BELOW!